He’s known for his Tasting Plates events and hosts challenges to find the best burger or the best pancake in Vancouver. This February, Richard Wolak is also bringing back his famous Poutine Challenge. 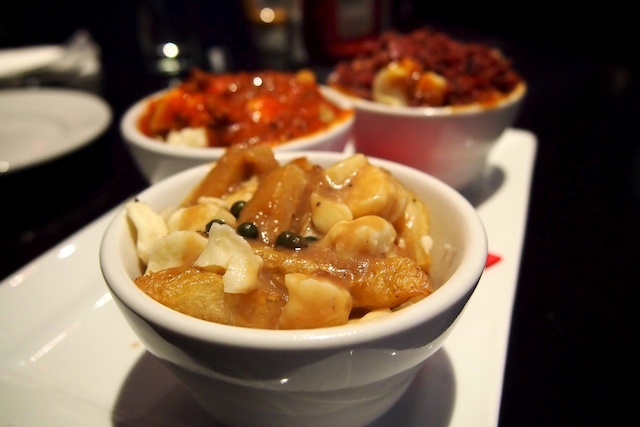 The 2nd annual Poutine Challenge will take place February 5th to February 28th, 2013 at 21 participating restaurants in Vancouver, North Vancouver, Burnaby, New Westminster, Ladner and White Rock. The public is invited to these locations to order their poutine dishes throughout February. The restaurants will either be featuring their current poutine offerings or creating specialty dishes just for this challenge. Then, starting February 26th an online vote will open until March 3rd when the winning restaurant will be announced. At its core, a traditional poutine is simply made with french fries topped with cheese curds and brown gravy — the ultimate in down-home, all Canadian comfort food. However, poutine is popping up on menus across the country combining the basics with some uniquely outrageous toppings. Richard has already leaked a few dishes to look out for: Crispy Chicken & Waffle Poutine from 131 Water Kitchen & Bar, a Spätzle Poutine from Riverway Clubhouse, a Sweet Smokehouse Poutine from Falconetti’s, and Electric Owl Social Club has created a Poutine Tron Limited Edition. Follow Vancouver Foodster on Twitter for more information about the participating restaurants, the poutine menus, and the voting process. I think you’re missing Annie’s on 6th Street in New Westminster! You also missed Zako’s 500 block W Broadway – amazing Poutine with vegan gravey (I’m a meat eater & this is good gravy) as well as Qualicum Cheeseworks cheese curds… Yummy!!! @Mark & @Dawn – Be sure to suggest these to Richard. I only listed his participating restaurants so far. I’ll update the list when he gets a few more on board. Cheers!